The mountains and forest provide a stunning backdrop to Lough Veagh and with such calmness; the lake reflects its surroundings like glass. 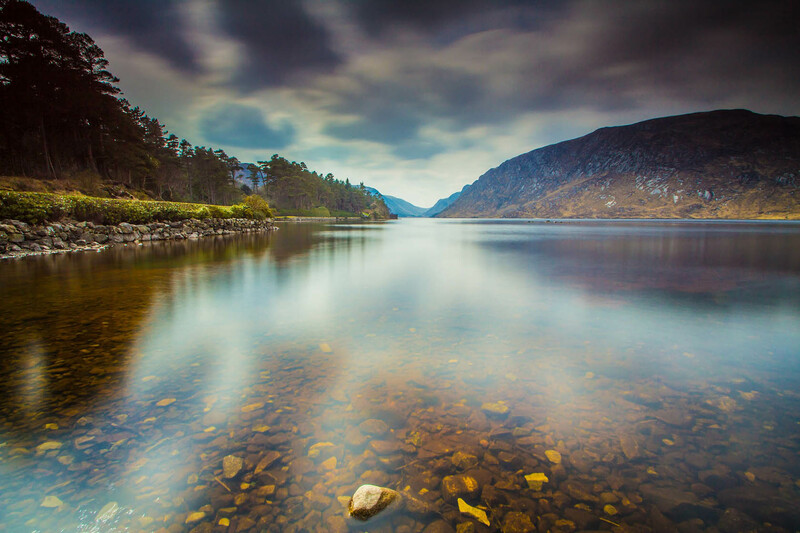 Lough Veagh is 5km long and 70m deep in some parts, and is one of the bigger lakes in Glenveagh National Park. Adjacent to the castle and surrounded by oak, birch, rowan holly, hazel, yew and aspen trees, the lake is one of the most scenic in Donegal.